On March 24, 1874—140 years ago today—legendary escape artist and magician Harry Houdini escaped from his mother’s womb in Budapest, Hungary. Born as Erik Weisz in a room at Rákosárok utca 1. sz. (a street now known as Csengery utca), he would have that name for only about four years before he and his family moved to the United States, where his name was Americanized Ehrich Weiss. It wouldn’t be until around 1890 that he adopted the name Harry Houdini. 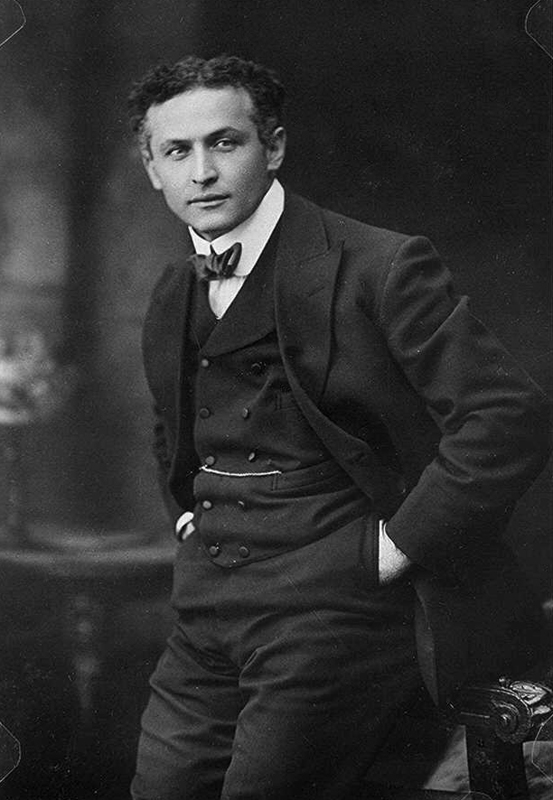 Since there are many biographies of Houdini on the Web, including a very good one on this page, I won’t cover the details of Houdini’s life here. 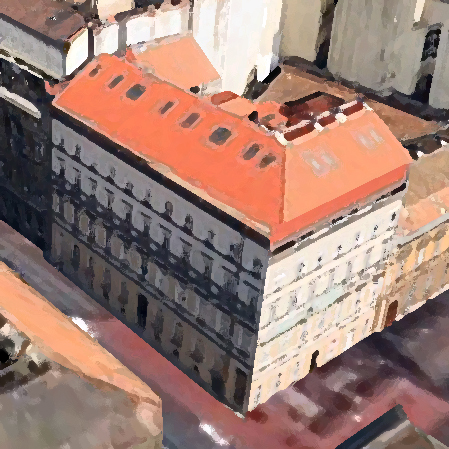 However, I will share some photos of the building in which he was born, compliments of Google Maps. But first, a little background. In an email to me about two and a half years ago, magician Ryan Majestic claimed he was the first magician to physically track down Houdini’s birthplace. Having an advance copy of the book in which the Rákosárok utca address was first published, Ryan, by sheer coincidence, was already planning to go to Budapest around that time. While there, he took a couple pictures of himself in front of the door at that address. Here’s one of Ryan in which you can see the address placard. Note that the door Ryan is standing in front of has since been repaired or replaced, and the placard is no longer there. You can see this by looking at the November 2011 Google Maps Street View of the location. 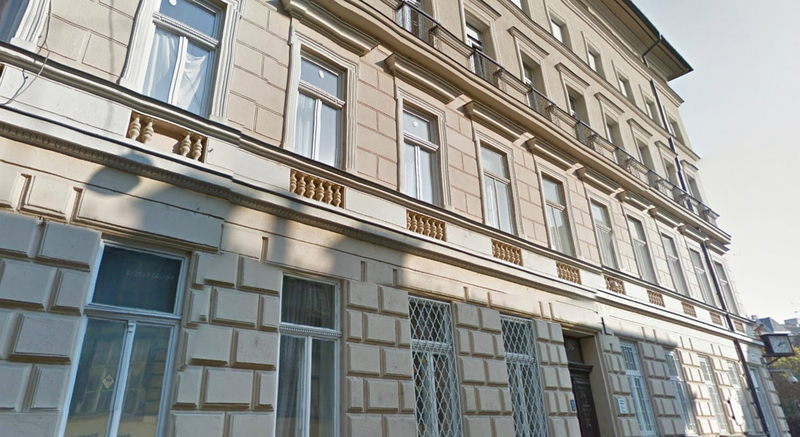 I’m not sure exactly when Ryan went to Budapest (probably in 2006 or 2007), but it’s only fair to mention another gentleman who tracked down the building: Attila Csordas, a bioinformatician at the European Bioinformatics Institute in the UK. You can read Attila’s Nov. 12, 2007, blog about that here. 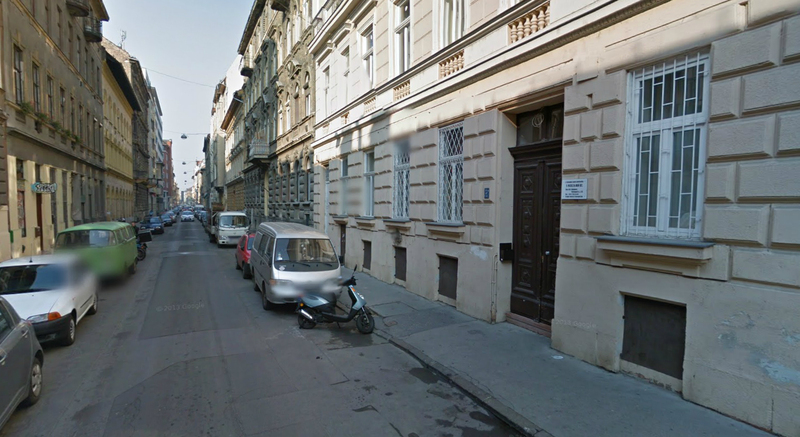 Magic historian and collector, David Stahl, also went to Budapest to find Houdini’s birthplace. This was recorded in August 2010 on Kevin Connolly’s fine Houdini blog, Houdini Himself. If you look at the photo of David on that page, the building behind him is actually across the street from the building in which Houdini was born (assuming the original source was accurate). 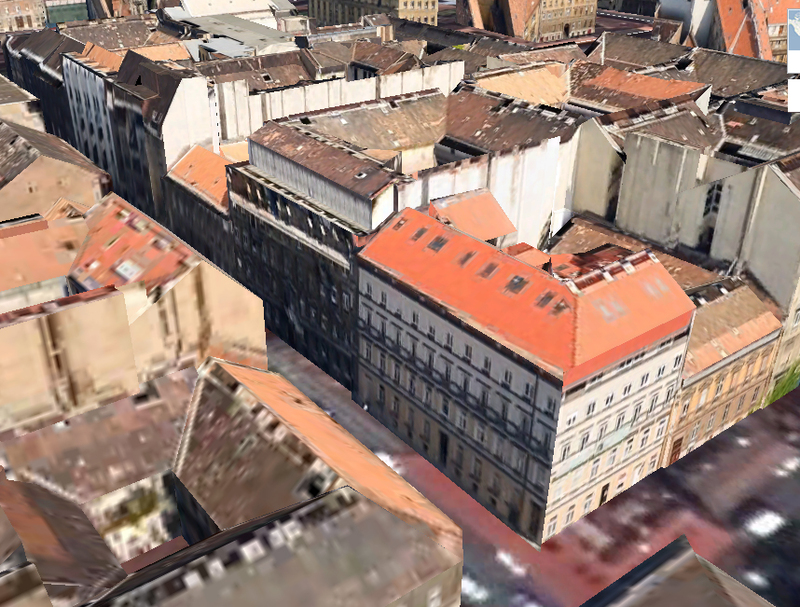 In any event, here are some pictures of 1 Csengery Street in Budapest (again, thanks to Google Earth and Maps/Street View). 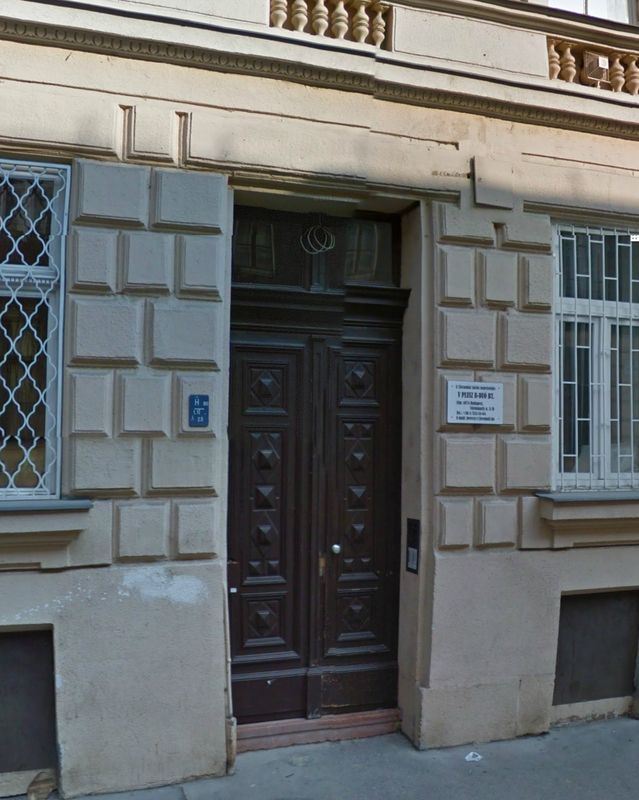 This entry was posted in Birth, Buildings, Cecilia, Mayer, Parents, Rákosárok utca 1. sz. 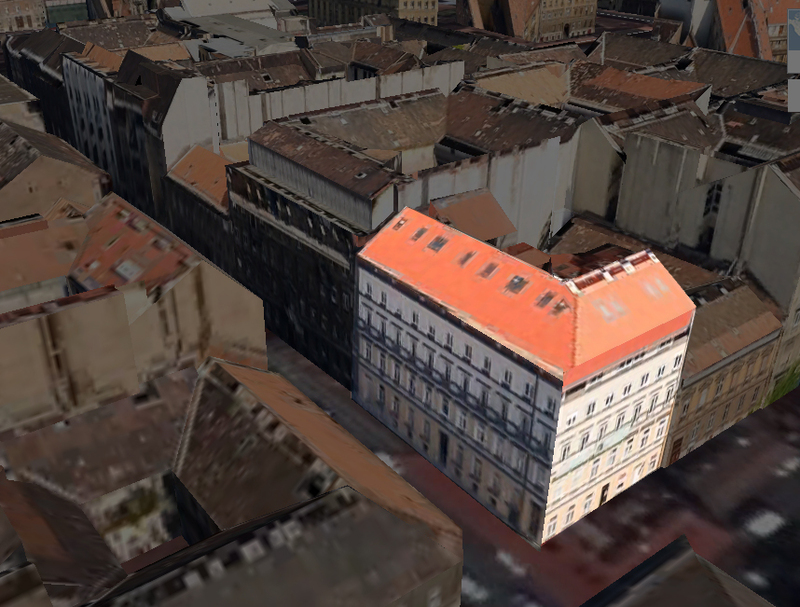 and tagged birth, birth place, birthday, birthplace, budapest, budapest hungary, buildings, harry houdini, houdini, Rákosárok utca 1. sz.. Bookmark the permalink. 2 Responses to Happy Birthday, Houdini! Hope to visit Budapest in September and was doing research work on the “Escape Artist” trying to locate any historic edifice connected to Harry.Houdini still existing in the city.Thanks to your blog and the blog by Magic historian Mr David.Stahl that i have finally located the address of Erik.Weisz in Budapest. Thanks, Rudolph! So glad to hear the Houdini blogs were helpful! I hope you have a wonderful time in Budapest!